A great turn out of 20 people joined in the Litter pick today on a lovely sunny day. It was encouraging that people had seen our posters and seen the event on Facebook and the website. We had lots of new pickers coming from far and wide! Also encouraging was the that there was far less litter than usual! No prize could be given for the most unusual item of litter found as nothing unusual turned up! 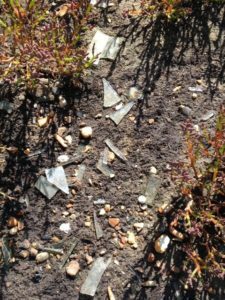 I spent most of my time picking up a large amount of broken glass from the bank shard by shard. Sad that it was probably deliberately broken there. A huge thanks to all who took part and of course to our star WOW member Ian Brereton for organising it all!